Chocolate dipped strawberries are perfect for special occasions or dessert nights with family! Wash and thoroughly dry strawberries. Poke a toothpick into the end of each strawberry (into the green stem area) to create stability. Fill a medium pot with a couple inches of boiling water (either from an electric kettle, or boil the water on a heated element such as a stovetop or electric burner). Turn off the heat, and place a medium glass bowl directly into the water. Add chocolate to bowl and stir gently until melted. 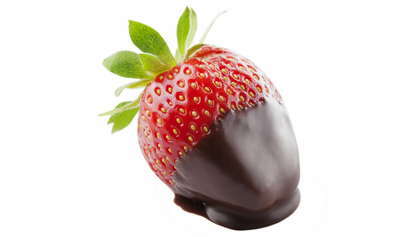 Holding the strawberries by the stem or toothpick, dip half of each strawberry into the chocolate. Place on waxed paper and allow to cool until hardened. *Hint: only dipping half the strawberry reduces the amount of chocolate used.